Like it or not, the financial industry landscape has changed quite a bit in the past decade, including by location. Courtesy of the financial crisis, investment banks have been fleeing traditional spots such as Wall Street and London, and opting for emerging market locations. And while ‘exotic’ finance industry destinations such as Singapore, Hong Kong and Dubai hardly need an introduction anymore, there is not that much awareness of investment banking in South Africa by comparison. While for many aspiring investment bankers South Africa wouldn’t be the first choice for kicking off their career, the country has in fact managed to become a major player on the world stage on account of its thriving economy and educated workforce. In 1994, Morgan Stanley was the first global investment bank to open an office in South Africa after the lifting of sanctions, as noted on their website. Since then, a lot of bulge bracket firms have established a presence in the country, both in a move to cut costs by outsourcing operations in the wake of the financial crisis, and to take advantage of the country’s booming economy. South Africa’s pool of chartered accountants has also boosted the country’s appeal as an investment banking destination. Most recently, the local unit of UK heavyweight Barclays signaled that it was hiring more staff in the country amid a pick-up in advisory work. In a June 2014 interview, Stephen van Coller, chief executive officer of Barclays Africa Group, told Bloomberg that corporate banking was “going nicely but slowly and investment banking is doing very nicely”. Frank Vein, an investment banker and Executive Director of JP Morgan Chase South Africa echo’s this sentiment saying “there has been a steady increase in demand for quality Investment Bankers especially as foreign banks move into South Africa”. The problem, he believes is in the level of financial understanding saying “If anything, there has been a skill shortage”. One way to bridge the gap and get in on these available jobs is to take a financial modeling course to supplement existing skills. In addition to being an attractive destination for investment banks, South Africa has caught the eye of private equity companies which also seek to diversify away from western economies and tap emerging markets to achieve higher returns. Carlyle Group LP, one of the world’s largest private equity fund managers, is one example, having opened an office in the country in 2011. 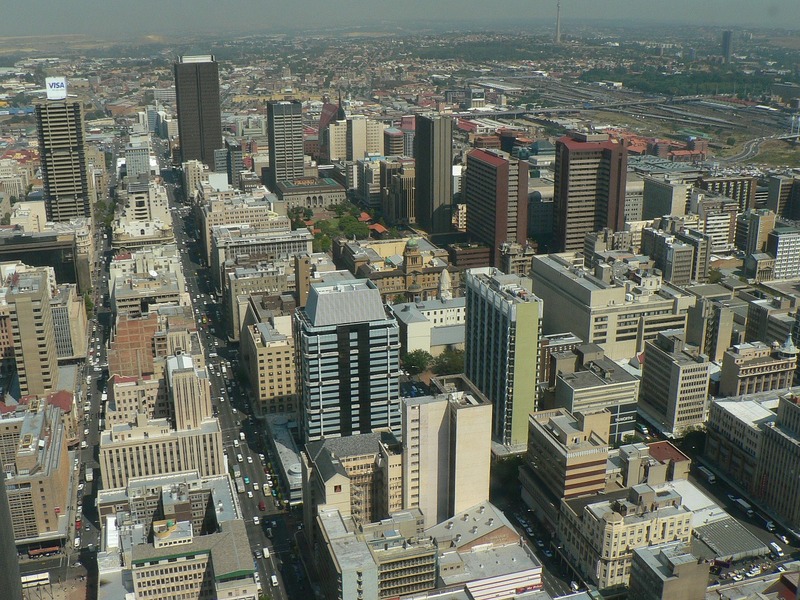 Within South Africa, Johannesburg takes the crown as the top destination for investment bankers, with bulge bracket firms often opting for the city which has turned into an international finance centre and is the economic hub of South Africa. Morgan Stanley’s South Africa country specialists for instance are based in Johannesburg; London-headquartered Barclays and HSBC have also chosen the city as a primary location in the country. Cape Town is another attractive destination for the aspiring investment banker, with finance, insurance, real estate and business services being among the top contributors to the city’s gross geographic product – a measure of the annual total and sectoral economic activity within local municipalities of South Africa. The city is a home to hedge funds, private equity and venture capital firms including Investec Asset Management as well as Remgro’s dedicated venture capital investment company InVenfin. A lot of international finance institutions, such as JPMorgan and Deutsche Bank, in fact have offices in both cities. The latest survey of the South African Graduate Employers Association (SAGEA), published in July 2014, for instance shows that the country’s leading employers were set to recruit record number of graduates in 2014 and 2015. Investment banks, as well as commercial and retail banks were among the largest recruiters, along with accounting and professional services firms. The survey, which included Barclays, Investec and Standard Chartered among others, also showed that investment banking jobs ranked among those with the highest starting salaries in 2014. In addition to offering full-time jobs in South Africa, investment banks also recruit interns, as is the case with more traditional locations. Bank of America Merrill Lynch, for example, has a six-month analyst program in, you guessed it, Johannesburg, while Switzerland’s Credit Suisse offers summer analyst intern programs. It’s important to point out that if you want to get a job at the South African branch of a bulge bracket firm, you would still need to have all the qualifications required for that position elsewhere, as well as go through the lengthy application and interview process typically associated with investment banking jobs. That being said, the supply and demand ratio of South Africa’s investment banking job market currently seems favorable enough to merit some serious consideration.